Deaths from the cholera epidemic in Haiti could rise above 10,000 if help doesn't quicken, but bureaucracy is slowing aid down, says a Canadian who heads the United Nations humanitarian efforts in the Caribbean country. 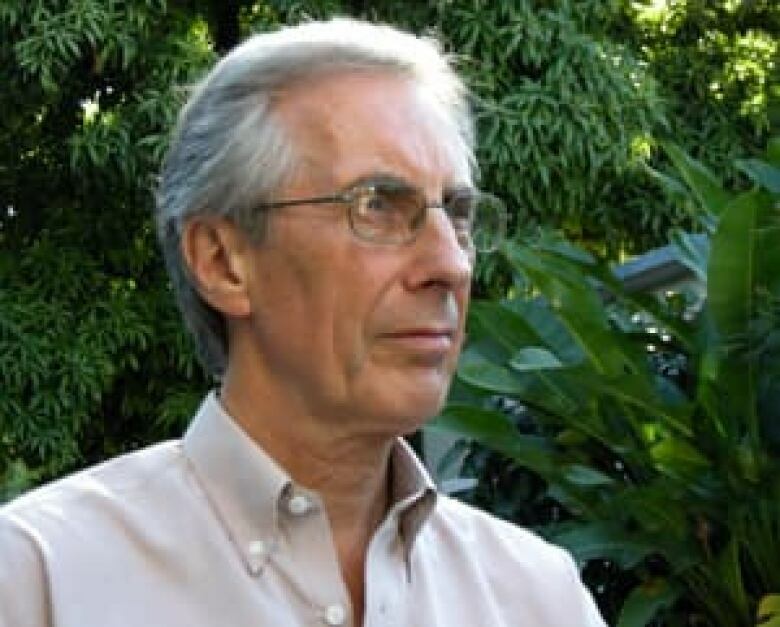 "All the conditions for a massive cholera epidemic are present in Haiti," Nigel Fisher told CBC News. "It is exploding." The United Nations puts the reported cholera death toll at 1,344, but says experts believe the tally could be as high as 2,000. Though official numbers state about 50,000 Haitians have been stricken by the disease, Fisher believes the true number could be closer to 70,000. "If we don't move — we, the whole community and national counterparts — don't accelerate the process, we could see deaths going above 10,000 or so." While additional funds are necessary to combat the outbreak, Fisher said the key to tackling the treatable disease are setting up more treatment centres and moving resources from future projects and reconstruction to cholera. "This today is the most urgent crisis Haiti is facing," he said. "Put the resources in now. Let's worry about next year next year." Local governments need to act faster to approve cholera treatment centres, Fisher said. Designated burial sites for cholera victims must also be set up, similar to one in Port-au-Prince. "There's an unacceptable indecision on the part of mayors in identifying those [sites]. And I'm communicating with the government and saying we cannot accept the delay." 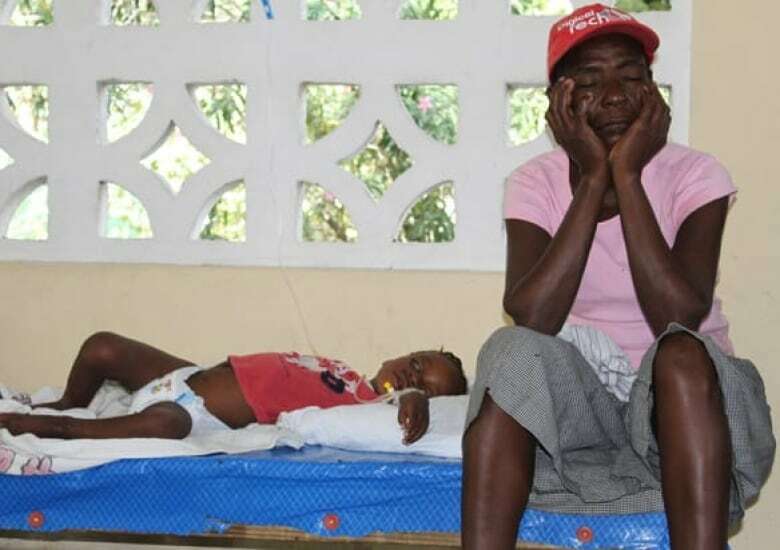 Six weeks into the outbreak, cholera cases show no sign of abating at the Haitian State University Hospital, the largest public health facility in the country. A month ago, the hospital set up an acute diarrhea clinic. Since then, the number of inpatients has grown exponentially from seven patients a day to the current 60, said Dr. Yves Lambert, an infectious disease specialist. A total of 800 cases of acute diarrhea have been treated, with an estimated 80 per cent caused by cholera. "This is the trend and we are going to reach a peak," said Lambert, who is confident the disease will follow a natural trajectory and "after that it will go down." Campaigns to educate the public about hygiene are widespread. Mobile health teams travel to poor mountain communities to test and teach residents about sanitation and hygiene, and banners hang above streets throughout Port-au-Prince urging residents to wash their hands. Many poor people, however, lack clean water and sanitation systems. Fisher said clinics and hospitals treating cholera are also struggling to find enough space for the human waste collected. "They're reaching their limit. Their storage is overflowing. That itself is a health risk." The international aid agency has encountered resistance from residents and community officials in some areas when trying to set up treatment centres because of local fears the disease will spread beyond the centres' walls. Fisher said government delays in deciding where to place treatment centres are "unacceptable." "Yes, we need more resources. Yes, we need more focus of the international agencies who are here with the resources. But we need these decisions — political will — now as well."